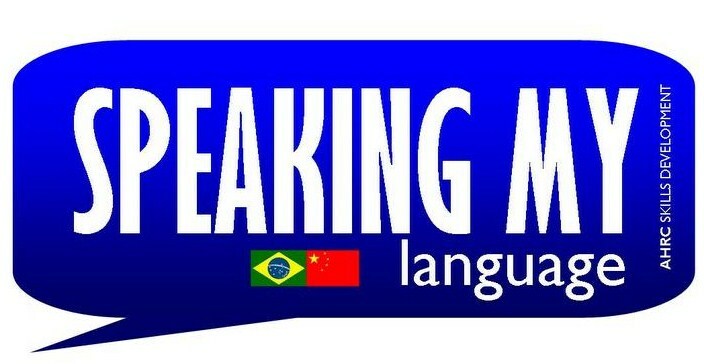 10 Speaking My Language students are supported by Speaking My Language programme to travel to Brazil and China. Our intrepid explorers were asked to create something in response to their experiences and we offer some of those reflections here. The diversity of approaches and accounts reflects the wonderful diversity of our participants. We hope that, in reading of these experiences, you might be encouraged to make your own journey in the future. The first student to go to China is Shane. Shane started his journey from Dublin Airport on the 12 of April. Final destination: Shanghai! After an Abu Dhabi connection flight, he is now in Shanghai experiencing Chinese culture and applying the knowledge he acquired during Speaking My Language programme. Leonie Dunlop visited China. Follow the links below to read her beautiful poems recording her rich experiences, alongside her images. 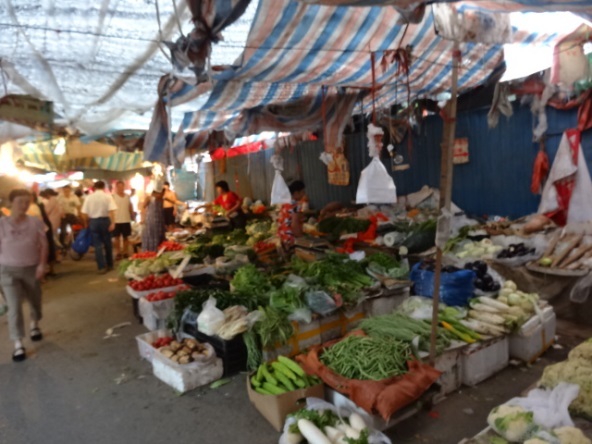 James Morris visited China, and has written a lovely report of his time there. It seems difficult to believe, having just returned from a whirlwind two –week trip to China, that the Speaking My Language Programme process began well over a year ago when I applied to undertake a three week Mandarin course at Edinburgh’s Confucius Institute. At that point in time, I was looking forward, somewhat anxiously, to beginning my PhD research at the University of Glasgow and the programme was the perfect way to introduce me to the postgraduate research lifestyle. With a class filled with postgraduate researchers from various institutions, with varied research interests and at different stages in their studies, the programme not only offered me the exciting opportunity to learn Mandarin, but also to make friends and contacts and to have many of my worries regarding PhD research allayed. Five months after I finished the course in Edinburgh and found out that my application to continue my study of Mandarin for two weeks in Beijing was successful, the excitement I felt at the prospect of travelling to this hub of modern commercial society was modulated by the same sense of anxiety with which I first began my PhD experience at the Speaking My Language Programme. With a view to retracing the steps of one of the Romantic period’s most important travellers, George Macartney’s, embassy to Peking, I wondered if my trip to modern-day Beijing would be met with similar problems. Like many travellers to China, my trip was, indeed, defined by travel illnesses, misunderstandings, and, despite my knowledge of Mandarin, language barriers. Having said all this, however, my trip to Beijing was, without doubt, not only one of the most exciting, but one of the most rewarding experiences of my life. Travelling with a friend I had made during the course at the Confucius Institute, we arrived in Beijing after a mammoth twenty hours of travelling and I was somewhat surprised by the Beijing in which we found ourselves. Arriving at Mandarin House, the college where we were studying for two weeks, we were met with the particularly affluent surroundings of Chaoyang, an area which we later found out was one of the richest districts in Beijing. With the Ritz-Carlton adjacent to the apartment building where we were staying and Chanel, Fendi, and Armani stores, as well as jewellers’ shops selling watches well in excess of £100,000, all centred around our complex, Beijing appeared to be a somewhat faceless modern city which one could find in any wealthy nation. During my two week stay in Beijing however, as clichéd as it sounds, I found out that Beijing is a city, as I presume China is as a country, of major contrasts. 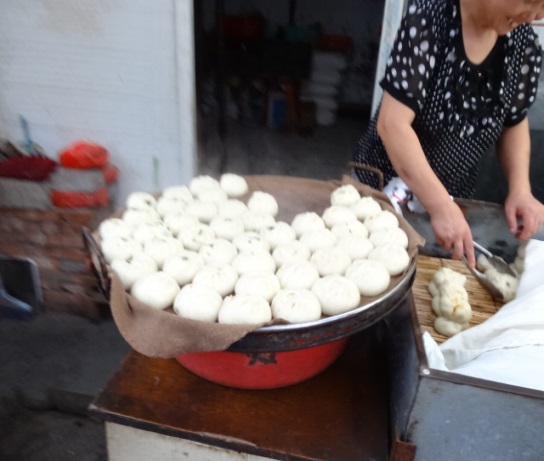 After classes, in the afternoons when I had time to explore China’s capital and get away from Chaoyang, I was provided with the opportunity to see various facets of Chinese life that both enthralled, and, in some cases, disturbed me. Away from the Gatsby-esque advertisements in Chaoyang which extolled the luxuries of a new American town complex, where Beijing’s wealthy denizens could buy New England style homes and live in elegant luxury on the outskirts of town, I had first-hand experience of some of the dichotomies of Beijing society. 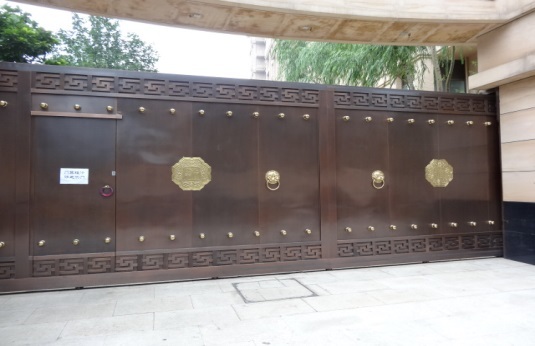 Early in my trip, when attempting to find a monument dedicated to the National Library of Beijing, I found myself lost, and, within only a few hundred meters of the bustling main road, entered into a small walled town, or hutong, which was roofed with a series of large, plastic, tarpaulins. With vendors trying to sell their produce, including meat, live chickens, geese and fish in 35 degree heat and with the smell of a broken drain a few yards away permeating the atmosphere, this small town, of which I never found out the name, was certainly a shock to all the senses. Met with quizzical, yet friendly, locals who attempted to sell us their goods I walked down this jammed high street for five minutes or so and, to my surprise, came out the other side to see a huge Italianate apartment block. With the European vehicles of the apartment owners gliding past the small, yet noisy, town with the gravity which large and expensive cars effortlessly produce, I was struck with the stark contrasts which exist in Beijing society. This, I think is aptly portrayed in the photograph below which shows a small child playing with his parents just outside the boundaries of the walled town, with a large and modern commercial building just discernible in the distance. 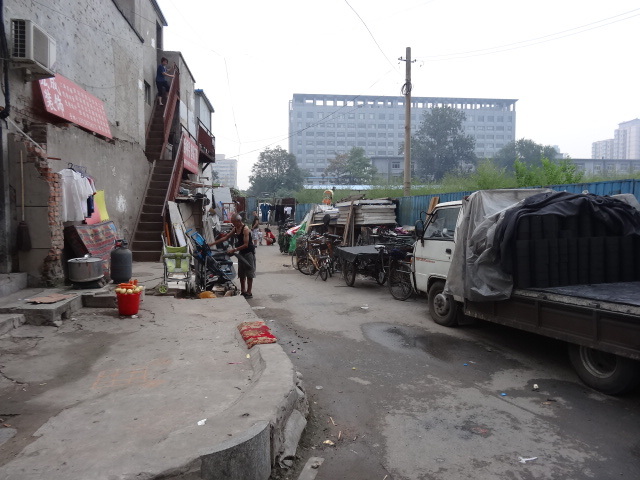 Whilst I would not be as naive as to suggest that Beijing is in any way unique in being a city of such contrasts and am cognisant of the fact that the gap between rich and poor is developing on all continents, I have never encountered such an obviously wealthy area in such close proximity to great poverty. 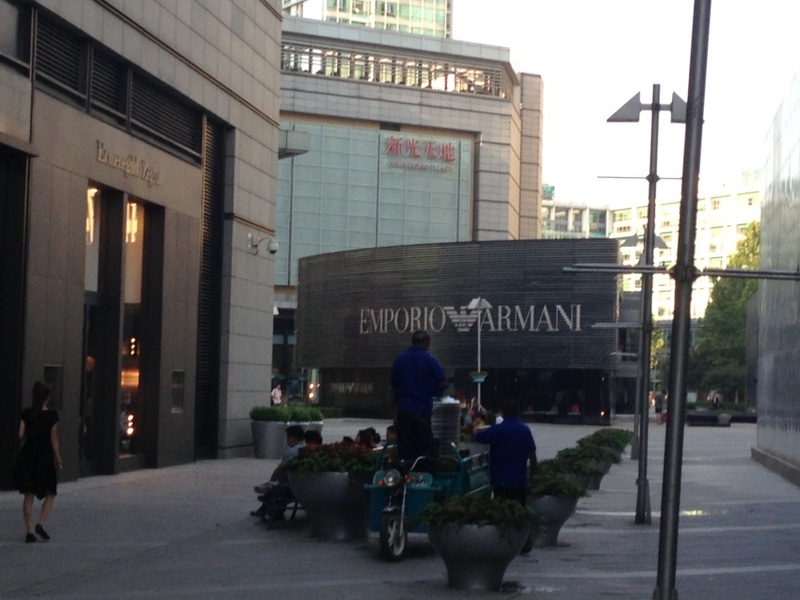 The longer I stayed in Beijing, however, I became increasingly aware of the prevalence of this divide. Although many hutongs in Beijing are now protected sights of cultural importance which stand as monuments to a traditional Chinese way of life and where tourists can pay to visit, many, like the one I described above, appear to be areas where poverty can be walled off and kept out of sight of the city’s wealthy residents and foreign travellers. 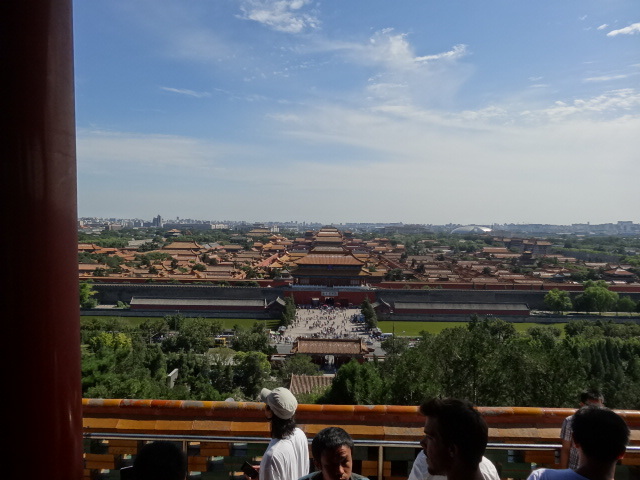 Even when visiting sites of major historic importance such as the Forbidden City, the dichotomies of Beijing society are always apparent, with the never ending march of commercial progress being visible in the photograph of the building site below, taken from within the walls of the ancient imperial city. Visiting the Forbidden City, as Macartney had done over two hundred years before me, was, nonetheless, most definitely one of the high points of my trip. Awe struck by the grandeur and imposing nature of the former imperial palace, I did wonder, however, how different Macartney’s experience would have been. 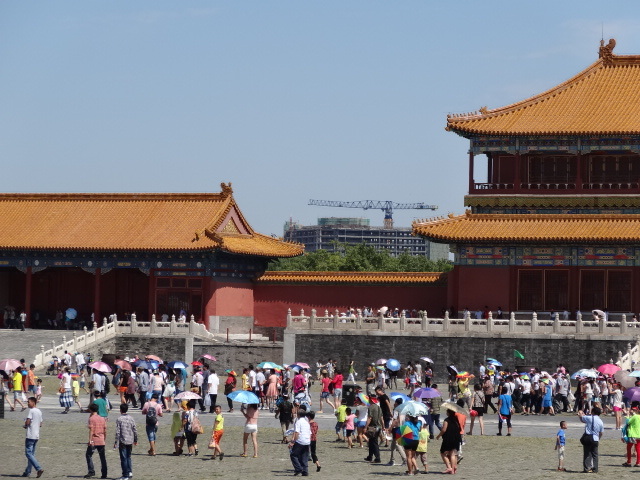 For me visiting the Forbidden City was an exciting day trip. I had seen photographs of the former imperial palace, had read reviews of the tour guides on tripadvisor and had paid an admission fee. Macartney, on the other hand, was entering into completely unchartered territory and was attempting to broker a deal for British trade. Macartney’s embassy, of course, was a failure and there is much debate surrounding the reasons behind this failure. Macartney’s refusal to perform the kowtow in front of Emperor Qianlong, however, has long been considered as representative of the cultural barriers which affected a meaningful sympathetic exchange between the representatives of the East and West. Tensions between the Qing dynasty and the British Empire, of course, continued throughout the early nineteenth century and eventually manifested themselves in the First Opium War of 1839-42. Despite the tensions of Macartney’s embassy, many invaluable accounts of the 1792 diplomatic mission were produced. In Aeneas Anderson’s account of Macartney’s embassy to China, Anderson, one of Macartney’s chief aides, wrote of the imperial city in Pekin that ‘the intermixture of gilding, sculpture, and valuable commodities which attract the eye every moment, give an idea of splendour, which fancy can scarcely enlarge’ and in the photograph of the imperial city taken from the vantage point of Prospect Hill below, one can fully appreciate the majesty and grandeur of the Forbidden City. 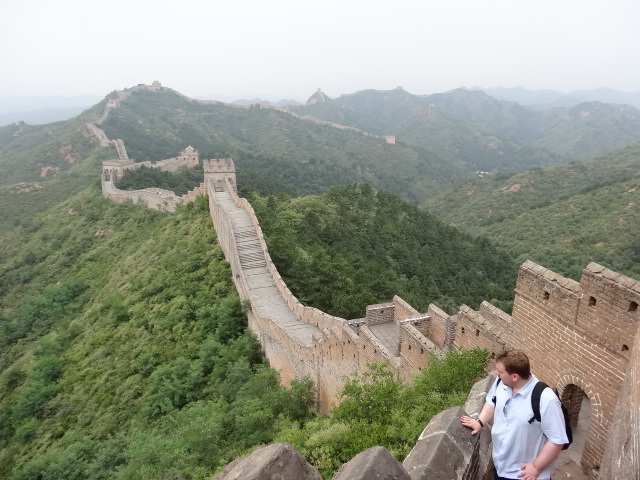 The Great Wall’s actual length, of course, is over 13,000 miles but Anderson’s description aptly summarises the almost sublime grandeur of the Great Wall and its surrounding regions. Towards the end of our trip my travel partner and I made the long journey to the Jinshanling part of the Great Wall. Much less frequented by tourists than the Badaling section of the wall, Jinshanling is surrounded by imposing mountainous scenery and many areas of the wall remain unrestored. Being a student of Romantic period fiction and poetry, I have long read Wordsworth and Shelley’s accounts of their own personal transcendental communions with nature occasioned in the tranquillity of beautiful scenery and I can say that my trip to the Great Wall was perhaps the only time I have felt any feelings comparable with Wordsworth or Shelley’s. Almost overwhelmingly breath-taking, the Wall and its scenery could not be further from the hyper-modernity of many parts of Beijing and it was here that I felt the enormity of ancient China’s culture and history. Walking along the wall, indeed, felt like stepping back in time and offered a tonic to the crowded city streets. It seems appropriate that on returning from China, exhausted yet exhilarated, that I put the various curios which I picked up on my trip on the bookshelves in my study because, thanks to the Speaking My Language programme, I was not only able to develop my comprehension of an extremely important world language, but I was also able to take my research interests beyond the realm of scholastic learning and into the realm of first-hand experience. As a participant of the Speaking My Language Programme I had the opportunity to visit Shanghai, China. I stayed there from 18th July 2013 until 30th October 2013. The first five weeks of my stay were arranged within the framework of Speaking My Language Programme. In the second part, further two months, I was hosted by the Shanghai University of Finance and Economics (SHUFE), within the collaboration established my university, University of Strathclyde, and SHUFE. My visit, overall, was a true discovery and an exhilarating experience, both professionally and personally. During the first five weeks (18th July to 26th Aug), I was studying Mandarin at Shanghai International Studies University (SISU). I attended a 5 week intensive Mandarin course, where we had classes every working day from 8.30 to 12. The course was divided in many different levels, by a system very different from the one offered at the Confucius Institute. Naturally, being an intensive course, it offered different and more extensive learning materials (for example, the textbooks were covering 20 units, whereas Confucius Institute ones had only 10). From that reason, the course leaders suggested that I don’t take the intermediate level course, but rather the higher beginner (second level). I accepted and it proved to be a good decision, as the very first level covered the same grammar and the range of characters as the first two levels we did at Confucius Institute in Scotland. There were approximately 20 students in my class, from all over the world (Italy, Spain, Russia, Germany, Japan, Korea etc. ), most of them studying Chinese language or culture in their home countries, as a major at the universities. The course was very demanding, with a lot of homework and 20-25 new characters a day, so I had to spend at least 3 hours a day studying and preparing for the next working day. However, I really liked the way SISU organised and led the course. The course structure and content was very interesting, useful and interactive. I think that I’ve really learned a lot, which proved true later during my stay at SHUFE. I was able to communicate and get around the city very well. At the final examinations, I achieve the result of 91 points in speaking examination, 83 for listening and 88 for writing, passing the course with distinction and receiving the certificate. Apart from the classes, SISU also offered a range of free and paid facultative activities, such as tai chi classes, calligraphy, paper cutting. I attended tai chi classes and truly enjoy it. In addition, we were offered free tour to the main sights in Shanghai, such as Shanghai Museum, Yu’yuan gardens, Shanghai Urban Planning Exhibition Centre, acrobatics shows. Finally, the University organised paid trips to Suzhou and Hangzhou. 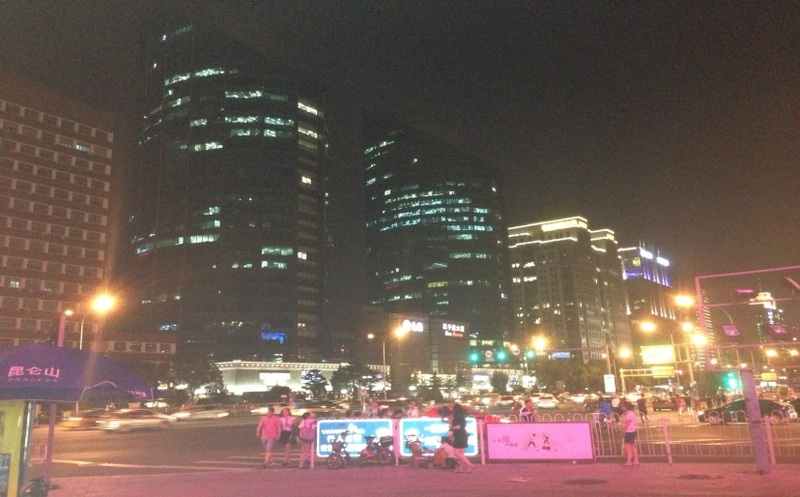 I decided to opt for the Hangzhou trip, as at the time of Suzhou trip, I went to Beijing with a few of my classmates. Hangzhou trip was well organised, we had a knowledgeable tour guide and saw the main attractions there, such as Leifeng Pagoda, Lingyin Temple, West lake and tea village. It was a good opportunity to see historical sights, beautiful nature of Hangzhou (in China, the city is known as the Heaven on Earth) and culture. We had a chance to take a part in the tea ceremony and learned a lot about green tea and its benefits. I also visited Suzhou, but in my own arrangement, with one of my classmates. We went for a day trip there, trying to see the main sights of the city (Museum, Humble Administrator’s Garden, Hashan Temple, Tiger Hill Pagoda, Pan Gate etc.). One of the weekends, as I’ve mentioned already, I visited Beijing with my classmates, where we aimed to see the main attractions and sights, such as the Great Wall, Summer Palace, Temple of Heaven, Forbidden City, Mao Mausoleum, Tiananmen Square etc. Although I enjoyed Beijing very much, especially in terms of the opportunities to learn more about the history of China, I still preferred Shanghai. In my view, Shanghai has a more exciting “city vibe”, if I may use this rather clumsy expression. It is very hard to explain this preference, as it’s merely a personal emotion and perception of the city. I’m sure many would not agree with me. In spite of its size and pollution issues, Shanghai is a very nice and interesting place to live. It offers a variety of activities, ranging from local to Western ones, adapted for the large expats population living there. It is a safe and exciting place, with nice and welcoming people. In addition, travelling to other Chinese cities is very convenient, as China benefits from a reliable, punctual and large high-speed railway network. As for the living conditions, for the first part of my visit, I stayed at the SISU guesthouse, which was a decent and convenient hotel located on campus, a few minutes away from the class venue. Actually, the students were not given and option to choose accommodation, so all of us stayed there. The location of SISU campus was very convenient, it was a few metro stops away from the city centre (People’s Square), with good transport links, facilities (library, gym, cafeteria with three meals a day) and security. During the second part of my stay in China, I was hosted by the Shanghai University of Finance and Economics (SHUFE), one of the leading Chinese universities. The university had designated two academic supervisors for me, Dr Henry Hu and Prof Song Xiaoyan, who made a great effort to make me feel welcome and make my visit useful. Although I stayed there for a very short time, academically, I had an opportunity to do some research partly related to my PhD, as the University provided me with access to the library and databases I wouldn’t be able to access outside China. This enabled me to collect materials I’m hoping to use for writing and publishing a paper on privacy in China. In addition, the University offered me the opportunity to attend some of the classes from their LLM programme taught in English. According to my research interests, I attended Law and Society and Civil law classes. This was really helpful for me, as I was able to broaden my understanding of Chinese society and the basic principles of Chinese law. All the lecturers were extremely helpful and the academic discussions in classes were quite interesting and challenging. During this period, I visited Xi’an, the ancient capital of China (until the 10th century A.D.). This was a truly unique experience and my best trip perhaps. The city is very interesting and perhaps “more Chinese”, in the sense of its authenticity and uniqueness. People there were really warm and friendly, the city had a lot to offer, from breath-taking historical sights (Terracotta Warriors site, City Wall, Bell and Drum towers, Big Wild Goose Pagoda, Museum etc. ), to perhaps the best cuisine I’ve tasted in China. In the city centre, there is a Muslim Quarter with the famous street market. This cuisine is a fusion of Arabic and Chinese, a very original and delicious one (different kebabs, stews, pies, sweets etc.). The only downside, again, is a horrible pollution, worse than in Shanghai, perhaps a little better than in Beijing. Therefore, I would like to think that I managed to explore quite a bit of China during my stay there. In addition to having seen the historical and cultural attractions, I very much enjoyed talking to ordinary people, on the streets of the cities I visited. I loved walking in the cities, without a particular direction and aim, just enjoying the diversity and colours there. I had a great opportunity to visit a Chinese family at their home. Jing Han, one of our tutors in Glasgow, was visiting her family and doing research in China at the same time and they kindly invited me for a lunch. I went to her home with one of the friends from the language course and we had a real Shanghaies feast there. We spoke with Jing’s parents, saw the living conditions of an average Chinese family and had very nice time overall. My general experience with Chinese people, if I may generalise, is that, once you cross the first barrier (particularly the language one) and get to know them, they are very warm, honest and welcoming, trying to be best hosts possible. Finally, I also made many western friends there (mainly during language course but also later, at SHUFE campus), still keeping in touch with them and planning mutual visits in the near future. To sum up, I’m very grateful for the opportunity offered by the Programme and I would highly recommend visiting China to any student wishing to explore, learn and experience, both professionally and personally. I feel much fulfilled, changed and enriched by this experience.